A general surgeon is a qualified doctor who works to treat patients who need an operation. They will be able to perform a broad range of surgeries and may have one or several sub-specialities. Because of their broad knowledge base, general surgeons are key members of A&E departments. Exactly what type of work a general surgeon does will depend on the location in which they work; for example a general surgeon in a rural area will have different roles to a general surgeon that works in an urban area. A general surgeon will provide care before, during and after surgery. The work of general surgeons is not limited to one particular part of the body or medical condition: there is a huge variety in the work that they do. General surgeons frequently work with patients who suffer from acute abdominal problems; the many organs contained in the abdomen means that it is a common part of the body to be operated on. 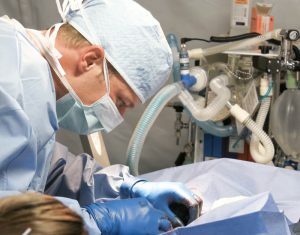 General surgeons may also have to perform surgery on patients who have suffered a trauma in an accident or surgery on patients who need it as part of treatment for a condition such as cancer. WHAT DOES A GENERAL SURGEON TREAT?